On July 31, 2018, Gulf Research Center Chairman & Founder Dr. Abdulaziz Sager and Secretary General of the Gulf Cooperation Council H.E. 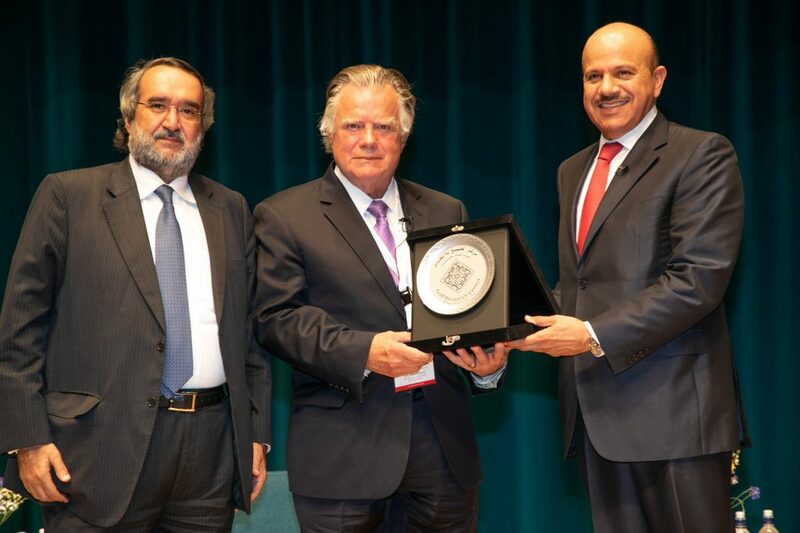 Dr. Abdul Latif Bin Rashid Al Zayani recognized National Council on U.S.-Arab Relations Founding President & CEO Dr. John Duke Anthony for his contributions to the Annual Gulf Research Meeting in Cambridge, UK, now in its ninth year. This entry was posted in Gulf Research Meeting, John Duke Anthony.